Home is more than just what’s inside your home. Being able to look out your window and enjoy what’s outside your front door is part of what makes it feel like home sweet home. Whether your living room features a picture window that overlooks a fresh, green lawn in a cozy neighborhood, or gives you a bird’s eye view of a city skyline, having a clear view of your world can be a wonderful thing. Phifer understands that many homeowners value their location and view from their windows but also need protection from bugs when their windows are left open. However, you shouldn’t have to sacrifice insect control for greater outward visibility. 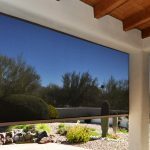 Our BetterVue® and UltraVue®​ screening offer an unobstructed view of your surroundings and better protection for your home, as do our SeeVue®​ and Tiny Insect Aluminum screening, each with their own unique set of benefits. 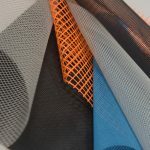 When it comes to our screening products, Phifer has built a reputation upon continuous innovation for more than 60 years, listening to our customers and making screening that responds to their wants, needs and lifestyles. Made entirely in the USA, Phifer high visibility screening offers a clearer view and excellent outward visibility. Combined with their insect protection capabilities, our BetterVue® and UltraVue® screening give you the look and feel of being outdoors, all while staying indoors. Our high visibility screening keeps bugs out while allowing cool breezes to flow through your home while you enjoy the view. 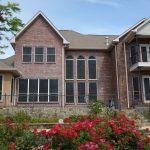 In homes with Low-E glass that offer lower thermal emissions and energy-saving benefits, the glass in these windows is often darker due to a protective coating. Phifer’s BetterVue® and UltraVue® window screen is virtually invisible and, when paired with this type of glass, allows more light to pass through, giving you a brighter, crisper look at your surroundings. Our stainless steel SeeVue® also offers a crystal-clear outward view, and its durable metal construction makes it excellent for use in conventional screening projects, such as windows, doors and porches. Its sturdy metal construction also makes it safe to use with pressure-treated lumber. In areas where you don’t want to sacrifice a gorgeous view for protection from tiny insects, our Tiny Insect Aluminum screening keeps out gnats, No-See-Ums, and black flies while providing you with excellent outward visibility. Made of tightly-woven metal wire mesh, it’s designed to keep bugs at bay without compromising airflow or a picturesque view. 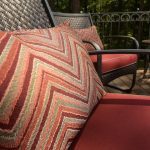 Phifer high visibility screening is ideal for windows, doors, porches and patios -- providing you with an unobstructed view of your backyard and the natural beauty of your outdoor environment. Our BetterVue and UltraVue high visibility screening products are GREENGUARD® Gold Certified, adhering to the highest manufacturing standards for low emissions and improving air quality in your home. In addition to being virtually invisible with greater outward visibility, our high visibility screening protects against insects and offers improved airflow. 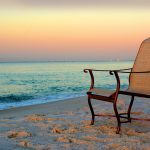 When privacy matters, look to Phifer screening products to help you enjoy the natural beauty of your home and surroundings, without others having a birds-eye view into your window. Check out our insect screening quiz to find the screen that best suits your needs. If you have questions or would prefer to speak to someone, please don’t hesitate to contact us! We’re available by phone or online and would be happy to answer your questions about insect screening. We can also let you know where to find Phifer products online or at a local retailer.